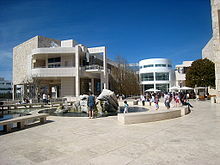 Brentwood is an affluent neighborhood in the Westside of Los Angeles, California. Originally part of a Mexican land grant, the neighborhood began its modern development in the 1880s. It is the home of seven private and two public schools. 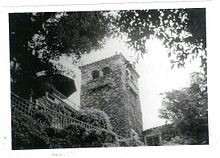 Brentwood was part of the Rancho San Vicente y Santa Monica, a Mexican land-grant ranch sold off in pieces by the Sepúlveda family after the Mexican–American War. Brentwood was the site of the 1994 stabbing deaths of Nicole Brown Simpson and Ronald Goldman, outside Simpson's Bundy Drive condominium townhouse. Nicole's ex-husband, football player and actor O.J. Simpson, was acquitted of the murders, but was later found liable for the deaths in a civil trial. In local parlance, it is known as one of the "Three Bs", along with Beverly Hills and Bel Air. The site of the crime scene in the O.J. Simpson murder case is located on South Bundy Drive between Dorothy Street and Montana Avenue. Each subdistrict is represented by a different homeowners association. 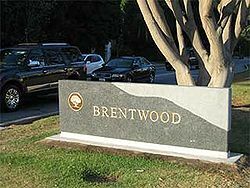 Brentwood is represented in the California State Senate by Ben Allen and in the California State Assembly by Richard Bloom. The United States Postal Service operates the Barrington Post Office in Brentwood. Ted Lieu represents the area in the U.S. House of Representatives. 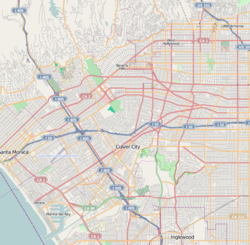 The elementary schools in the area are Kenter Canyon Elementary School (a LAUSD charter school) and Brentwood Science Magnet Elementary School (an alternative school). O.J. 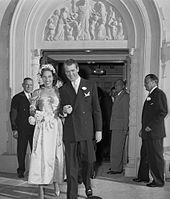 Simpson – National Football League player, broadcaster and actor. ^ "Chinatown (1974)" – via www.imdb.com. ^ "Barrington Recreation Center." City of Los Angeles. Retrieved on March 22, 2010. ^ "Barrington Dog Park." City of Los Angeles. Retrieved on March 22, 2010. ^ "Station 19 Archived 2007-04-15 at the Wayback Machine." Los Angeles Fire Department. Retrieved on March 17, 2010. ^ "West L.A. Community Police Station." Los Angeles Police Department. Retrieved on March 28, 2010. ^ "Post Office Location – BARRINGTON Archived 2010-03-24 at the Wayback Machine." United States Postal Service. Retrieved on March 28, 2010. ^ "Brentwood : Math-Science Magnet Center." Los Angeles Times. April 22, 1993. Retrieved on March 23, 2014. "A new math-science magnet center for Paul Revere Middle School in Brentwood has been approved by the school board." ^ "Palisades Charter High School Attendance Zone." () Los Angeles Unified School District. Retrieved on March 23, 2014. ^ Robert D. McFadden (June 3, 2011). "James Arness, Marshal on 'Gunsmoke,' Dies at 88". The New York Times. ^ Farrow, Emma. "Dr Dre House: Humble Beginnings To A Baller Compound". velvetropes.com. Velvet Ropes. Retrieved January 12, 2019. "Dr Dre house is truly stunning. He bought his $40 million mansion in Brentwood, LA in 2014". ^ Lewis, Andy (January 20, 2012). "Gisele Bundchen and Tom Brady Move Into $20 Million Brentwood Mega-Mansion". Hollywood Reporter. ^ "Big Breitbart: Andrew Breitbart is messing with you. – By Christopher Beam – Slate Magazine". slate.com. Archived from the original on March 22, 2010. Retrieved March 17, 2010. ^ "Comedy writer Dee Caruso dies, Penned 'Get Smart,' 'The Monkees' episodes". Variety. 2012-05-29. Retrieved 2012-06-26. ^ "Bert Convy, 57, an Actor and Host Of Television Game Shows, Dies". The New York Times. 1991-07-16. ISSN 0362-4331. Retrieved 2015-12-28. ^ "Brentwood Ca Junior Racquetball Team Wins 4 gold at National Singles Championships". 3 June 2014. ^ "Eagle Glenn Frey lands in $10.5 million house". SFGate. Retrieved 2016-03-06. ^ "Actor Harmon Pulls 2 Youths From Burning Car". Los Angeles Times. LATimes. 4 January 1996. Retrieved 2012-02-03. ^ "Biography of Leland Hayward". www.countyhistorian.com. ^ Barragan, Bianca. "Inside LeBron James's new Los Angeles house." 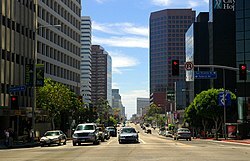 Curbed LA. Curbed LA, 16 Nov. 2015. Web. 01 June 2017. ^ Morton, Andrew R. (1999). Monica's Story. New York: St. Martin's Press. p. 357. ISBN 0-312-97362-4. ^ "Robert Loggia, star of 'Scarface,' 'Big,' dies at 85 - Sacramento". Sacramento. Archived from the original on 2016-03-04. Retrieved 2016-01-06. ^ Beyette, Beverly (July 3, 1990). "After Smoke Cleared : Survivors: Some lost everything in the 1961 fire in Bel-Air and Brentwood. Others fought the blaze and the odds. They all remember the terror". Los Angeles Times. Retrieved September 4, 2018. ^ a b c Schindehette, Susan. "To Live and Die in L.A. - Murder, Nicole Brown Simpson". People.com. ^ David Ellis (November 7, 1994). "A Sensational Memoir Raises Questions By—and About—One of Nicole's Pals". People. Candor or Pander?. 42 (19). ^ Crawford, Dorothy L. 2009. A Windfall of Musicians: Hitler's Émigrés and Exiles in Southern California. New Haven and London: Yale University Press. ISBN 9780300155488. ^ Lacayo, Richard (August 10, 2003). "The Mind Behind the Muscles". Time]]. Retrieved April 18, 2008. ^ Groves, Martha (November 12, 2012). "Actor Robert Taylor's former ranch is set to go on auction block". latimes.com. Retrieved January 22, 2013.